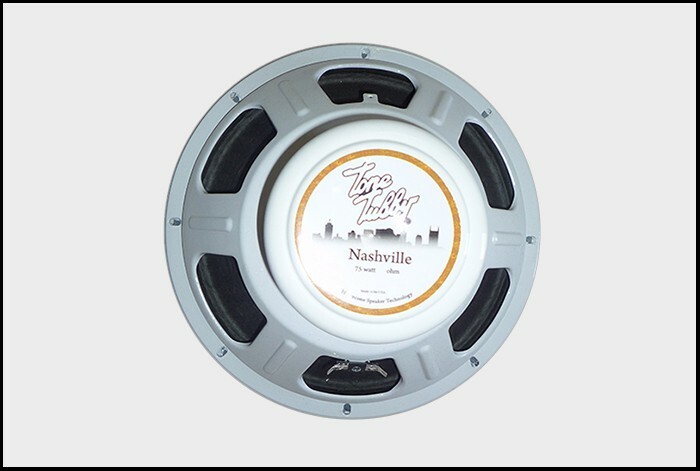 Tone Tubby Nashville AlNiCo 12" Hempcone 75-watts Speaker! Available with ceramic or alnico magnet, the Nashville puts out optimum crystal clear headroom, all the way up to beautiful crashing waves of high-volume overdrive. The Tone Tubby Nashville AlNiCo 12 is an excellent replacement for vintage and current production Marshall, Vox, Mesa, Fender, Hughes & Kettner and many other amplifiers.